Google's smart action Clips camera clears the FCC, does this mean it's launching soon? 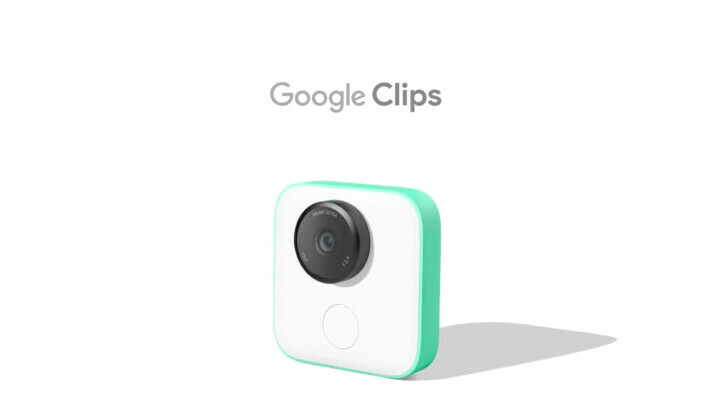 Remember Clips, Google's smart action camera that you are intended to place aside and let take snaps of your and your family's everyday life as it goes by? Announced back in late October 2017 alongside the second generation of Pixel phones, this AI-powered camera has just been cleared by the FCC, which is indicative to us that a release to the market is quite possibly imminent. As a refresher, the cutesy little action camera will be priced at $249 and will use sophisticated algorithms to capture only the best moments. From what we know so far, it will be actively looking for familiar faces and smiles with the intention of capturing memories with you and the people you care about included. Supplied with Wi-Fi and Bluetooth, we could easily see why some more privacy-conscious folks will deem it a big "no-no", but Google shot those assumptions back at the announcement, revealing that the Clips is not a surveillance camera and will allow you to review and manually upload its photo content to your Google Photos library.